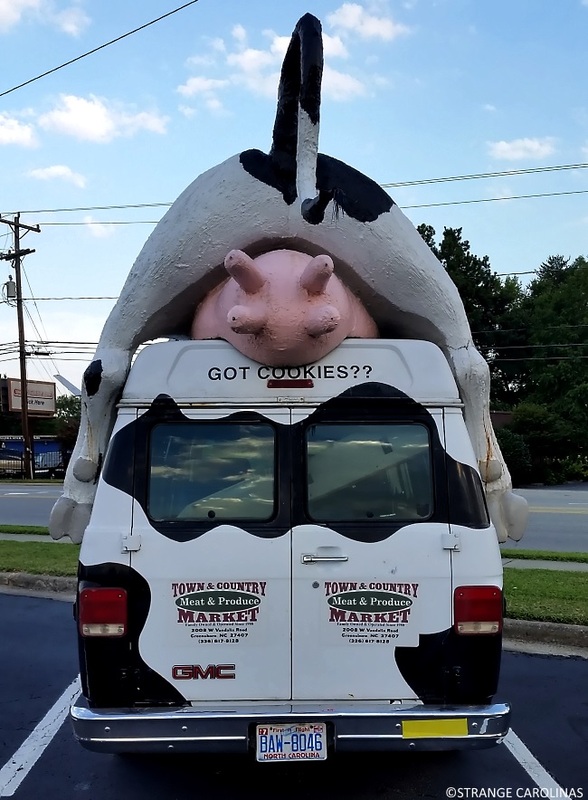 This cow van can be found at the Town & Country Meat & Produce Market in Greensboro, NC. 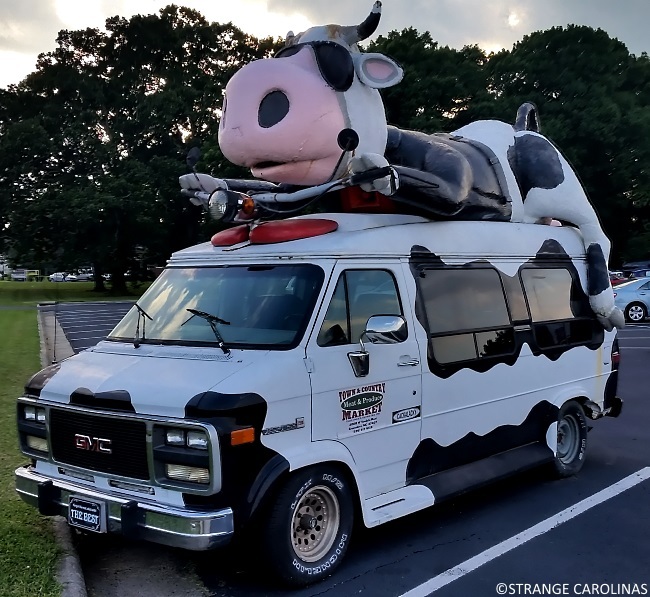 If this looks familiar to you, it might be because this cow van spent its first ten years parked outside Jamin' Leather on 501 in Myrtle Beach. 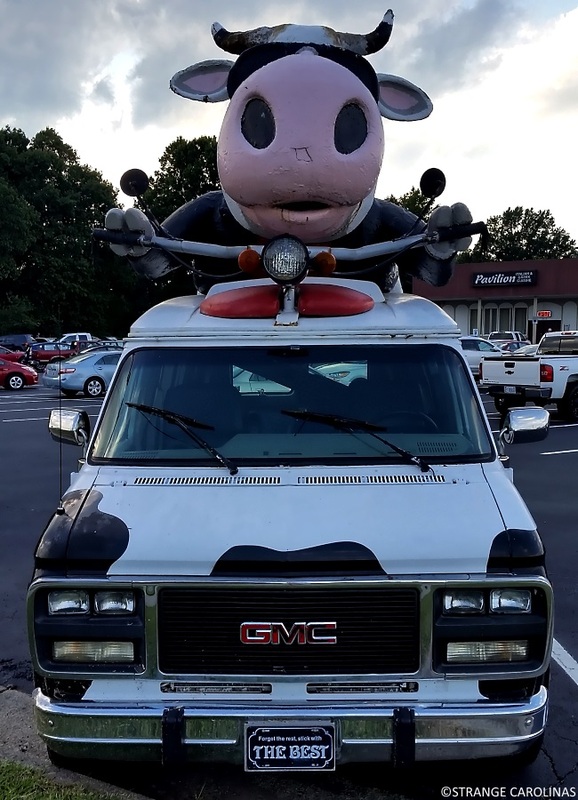 Considering this cow has somehow managed to survive both a leather shop and a butcher shop, he really needs to get a job with Chick-fil-A before his luck runs out!